译自Masao Maruyama, “Politics and Man in the Contemporary World”, in Masao Maruyama, Thought and Behaviour in Modern Japanese Politics (Expanded Edition), ed. Ivan Morris, Oxford University Press, 1969. pp. 321-348. trans. 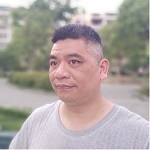 Liqiu Wang. 《新政治家》(“New Statesman”), 17 Feb. 1961, p.246. 《星期六评论》(Saturday Review), 23 July 1960, p.38. 弥尔顿·迈尔：《他们认为他们还是自由的》。Chicago: University of Chicago Press, 1955, pp. 168-69. 卡尔·施密特：《从被虏中获救》。Koln: Greven Verlag, 1950, pp. 18-19. 伊尼阿齐奥·西洛内：《面包与酒》，tr. Gwenda David and Eric Mosbacher. New York: Harper Brothers, 1937. p. 204. 瓦尔特·李普曼，《公共舆论》，Macmillan, 1922; Free Press paperback, 1965, p.119. E.P.汤普森(E.P.Thompson)：《出于冷漠》(Out of Apathy)。London: Stevens and Sons Ltd., 1960, p.168.